Representing the needs of insurance agents across the country! I have worked in the insurance industry in various roles for over 15 years as well as had the distinct privilege of working side-by-side with over 500+ agents & agency owners across the country from Hawaii to New York. My close relationships with the insurance industry and carriers allows me to constantly remain knowledgeable about changing trends. Marketing doesn’t come easy to most people. Fortunately, my vision for Tosten Marketing from the beginning was to create a simple, turn-key solution for your agency and ensure your business remains relevant in the changing tides of digital marketing. I would love the opportunity to discuss how Tosten Marketing can make an impact on your business with one of our programs. Taber has a degree in Journalism with an emphasis in Public Relations from Western Washington University. He uses this to create agencies colorful, well thought content for their websites as well as incorporating media design into the websites Tosten Marketing creates. 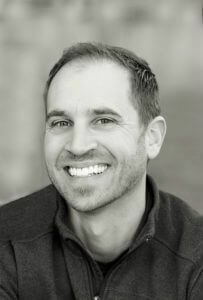 Taber is an accomplished writer and has been published in multiple publications throughout the past 20 years. Tosten Marketing now enjoys being one of the quickest growing and most innovative marketing agencies for insurance agents. We have a reputation for being results driven and providing unparalleled value. Read some of our client testimonials.